There will be a free STEM Banquet Tuesday, March 27 from 6-8 p.m. in the College’s Pope Student Center for high school juniors and seniors interested in STEM fields. It is sponsored by Engineered Floors and Shaw Industries. Representatives from chemistry, physics and engineering, environmental biology, pre-medical biology, mathematics and information technology will be on hand to answer questions. Representatives from admissions and the dual enrollment program will also be available to speak to perspective students. "Many students earn their four-year degrees from Dalton State while others transfer to a school that offers bachelor’s degrees in engineering or physics. 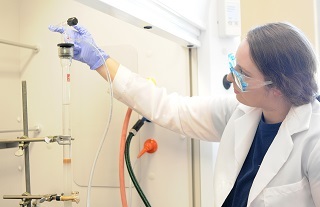 Dalton State’s School of Science, Technology, and Mathematics provides students opportunities not common for those working on a bachelor’s degree, including the chance to conduct undergraduate research, the chance to work with endangered turtles, and the chance to dissect a cadaver," officials said. Representatives from Kennesaw State University and University of Tennessee at Chattanooga will also be at the event to discuss their engineering programs. "The event will include a tour of Peeples Hall, Dalton State’s science building with state-of-the-art instruments and equipment identical to that used by scientists in industrial labs. A telescope will also be available weather-permitting for those interested in astronomy," officials said. For more information or to register visit, https://www.daltonstate.edu/admissions/stem-banquet.cms.